The counters in our kitchen are covered with fresh garden tomatoes. Every night Michael and the boys bring in another three to five pounds, which I then sort by type and levels of ripeness. The tomatoes that still have a few days or more before ripe all go on one counter, and the ripe or nearly ripe go on another. We have colanders of paste tomatoes, and assorted bins of grape and cherry, and the big beefy tomatoes just sit out on the open counter. We give away some, and then eat tomatoes for breakfast, lunch, and dinner, and preserve the rest. 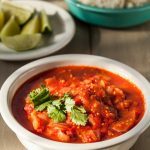 I stumbled across this lovely sambal tomato sauce with coconut rice on the Cooking Light website, and right away it went on the menu. The spicy tomato sauce with our garden tomatoes goes very well with the slightly sweet coconut rice, and we enjoyed it with our favorite Thai grilled chicken. 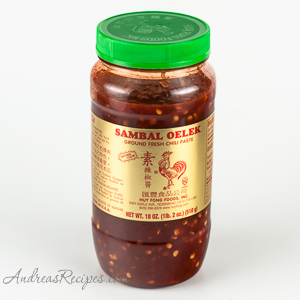 Sambal is a southeast Asian spicy paste made from very hot chiles, and the recipes and flavors vary by region. 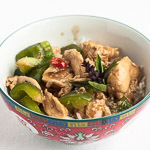 I actually keep a small jar of sambal in my refrigerator, ready to add to any Asian dish that needs a kick, and it worked perfectly in this dish. Rather than grind Thai chiles, I just added a little sambal to taste, but you can of course make your own fresh chile paste if you have Thai chiles on hand, just adjust the number of chiles according to your heat preferences. I made a couple other adjustments, using palm sugar instead of brown sugar and bay leaves as a substitute for pandan leaves, though I recommend the traditional pandan leaves if you can find them at a nearby market. Check the freezer section, which is where I occasionally find it. SAMBAL - Heat the oil in a large saucepan over medium-high heat. Add the shallots and garlic, and sauté 3 minutes or until lightly browned. Add the sambal paste and palm sugar to pan, and sauté 1 minute or until fragrant. 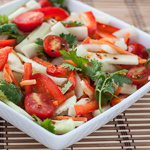 Add the lime rind, juice, and tomatoes to pan. 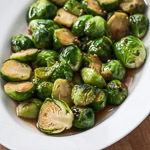 Cover, reduce heat, and simmer for 20 minutes or until thickened. Stir in 1/4 teaspoon sea salt, and then serve the sambal over rice. 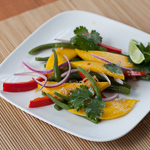 Squeeze some fresh lime juice over it for extra flavor, and sprinkle on cilantro. 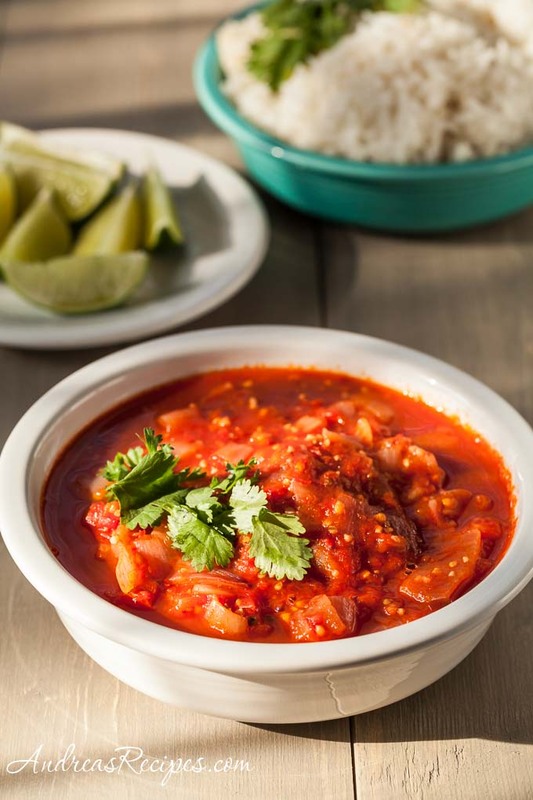 To make your own chile paste, use 8 Thai red chiles. Seed 7 of them, and keep seeds in 1 chile. Mince the chiles and grind them with a mortar and pestle.